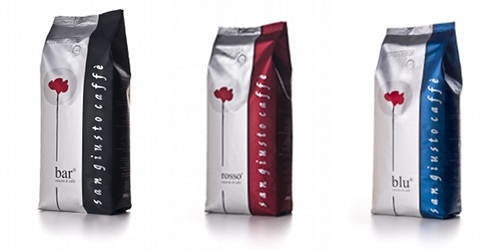 Founded in 1949 by Libero Petronio, Torrefazione San Giusto is specialized in supplying quality coffee to the bars, in Italy and abroad. 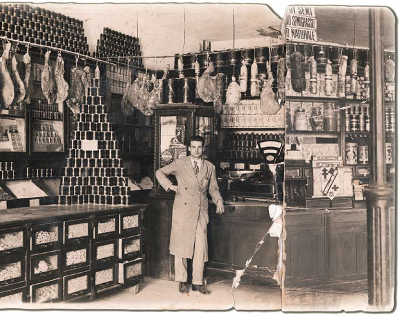 It is still owned by the family: the administrator is the son of the founder, Marino Petronio. Torrefazione San Giusto is able to provide over 5 different types of espresso cups and cappuccino cups, the milk jugs, trays, napkins, napkins dispenser, sugar-bag dispenser, coffee “to go”, clocks and advertising signs, and also gadgets: t-shirts, caps etc.. Finest 100% Arabica coffee. Sweet, fine and aromatic. Best qualities of arabica coffee from Brazil and Central America. Aromatic blend with persistent cream. Best qualities robusta and arabica for an aromatic and chocolaty cup. Blend with intense taste and strong flavour. Blend of selected qualities robusta and arabica for a strong and creamy cup. Torrefazione Caffè San Giusto di M.Petronio & C s.n.c.